Snowmen are easy to spot during the winter holiday season. From snowman decorations, plush toys, and tv specials, snowmen have become a winter holiday icon. Turn that familiar frosty friend into a reason to celebrate Christ. Throw a Snowman party and use the Trinity Snowman poem to help teach an important biblical truth. One year I was in charge of teaching a multi-age Sunday School class. I needed to come up with a Christmas lesson and I started searching the internet for something that would work. I knew one symbol that most children could relate to during the winter holiday season was snowmen. I couldn't find anything to tie snowmen into a lesson, but I felt inspired after reading some snowman party ideas on The Sunday School Network. The result was the Trinity Snowman poem. Use this poem to teach children about the Trinity while having fun at the same time. (A black and white printable version of the poem is available down below). Truth in the Tinsel is a wonderful way to talk about the true meaning of Christmas with your children. You'll get 24 days of Scripture reading, ornament crafts, talking points and extension activities. Plus fun printables and templates! This is the perfect book for kids of any age-from preschool to elementary! Plan time to read the poem. Use the following pattern to create a felt-board set to help illustrate the poem. Afterwards, the children can create their own snowman page to bring home. Cut out the pieces of the snowman. While retelling the poem, have the child glue the appropriate pieces for that portion of the poem. Mount on light blue cardstock. Finish decorating with scrapbook supplies, stickers or crayons. Erica from Confessions of a Homeschooler gives step-by-step instructions on how to create this cute snowman keepsake ornament. 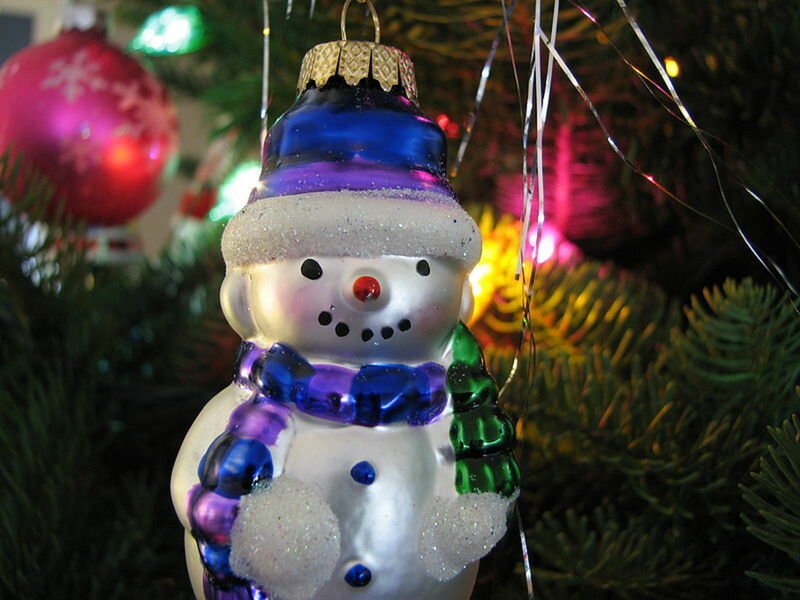 FInd snowman crafts for every age and skill-level at Family Crafts. Mix up a batch of "snow dough" and create a snowman to bring home. Excellent 3-D prop for retelling the Trinity Snowman poem. Create a set of cards with this creative snowman stamp idea. This section also has several other snowman craft ideas. Using old jars, these cute snowman can easily be made by younger children. Photos and directions on creating your own snowman banner out of craft sticks. This adorable craft will become a keepsake. Easy to do and fun to remember over the years. Great way to dress up playdough for some winter-time fun. Print onto cardstock and cut out the noses. Play like Pin the Tail on the Donkey. This is a fun game using velcro and balls--sure to get the guests moving! For a quiet game, use these fun snowman shaped cards. Using canned biscuits, children can decorate and eat their own little snowman. Marshmallows, peanut butter cup and other yummy candies are combines together to make a cute edible snowman. Make a snowman using the traditional Rice-Crispy treat recipe! Your hands will get sticky with this one, but the end result is sure to be a hit. Each guest can create their own custom snowman using vanilla wafers and frosting. Hot chocolate mix to warm those bellies up. A simple and very cute snowman treat using white fudge covered Oreos. Another easy snowman snack for kids to make. Another creative snowman dessert from Midwest Living. Have kids decorate their own edible snowman pancake creations. A wintertime ABC book exploring the blessings of the season. Coloring sheets that go with the Trinity Snowman poem. Print a snowman bag for holding treats for the guests. A printable snowman card that can be used as a party invitation. Print and create a 3-D paper snowman. Snowman color-match file folder game for preschoolers. A good activity for toddlers and preschoolers. Print out and use bingo daubers or pom-poms to fill in the circles. - snowman lacing card - snowman pattern cards - snowman graphing - snowman puzzle - snowman magnet page - snowman cutting practice and more! Print-out where children can add the features on the snowman. Use to create cards or bookmarks. This could be printed out to be used as name tags. This family received a snowman kit to make along with the poem. What a great gift idea! A simple and cute coloring page of a snowman. A Snowman Party doesn't have to be in December. Cool down your summer with a snowy celebration on June 25th to celebrate LEON Day. Thank you for stopping by this lens! I hope you got many "cool" ideas! Great stuff for the grand kids, and you mentioned Leon day too! I think your cool ideas for this len is already cool enough and nobody can be cooler than a snow man. Great len and nice snowman. I always love to see a snowman and that's why I "like" your len.God bless you. Loved all your snowman ideas! Snowman snacks are a great idea! Almost makes me not want to eat them even though they look so good. Lots of cute ideas. Snowman crafts can last for the whole winter season. Seems like an easy craft to do with a classroom. Nicely done. Thank you for sharing this idea. Beautiful and very creative. Congratulations! What a neat lens. Love it. Lots of great ideas here. Thanks. Snowmen are always a great choice when it comes to theme parties for Christmas. Great lens. Beautiful and fun lens. 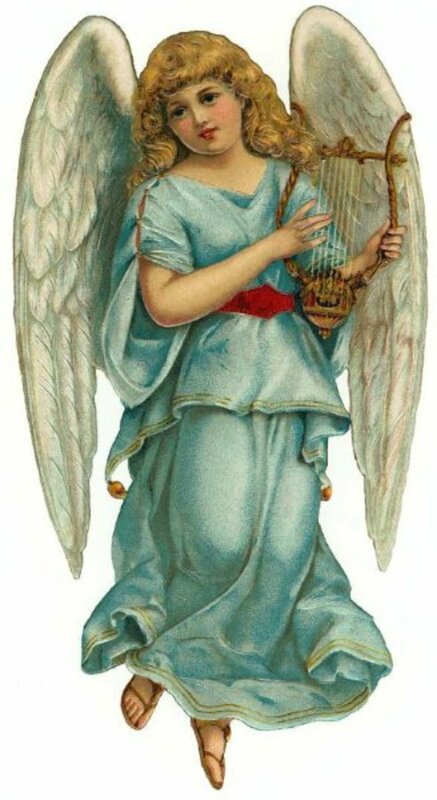 Angel Blessed! Great lens! Never heard that poem before - very nice! What a cute idea this is. Great way to keep the kids busy! It so sweet how the winter theme is custom made for this sweet lens. I'd never read the Trinity Snowman, so thanks for sharing that. Making a snowman is a wonderful party inspiring idea. Love the trinity snowman. So very creative. Great job! You've done a wonderful job in creating this lens. I love how you can download the patterns and instructions. Trinity snowman is a wonderful idea! I must admit that this is the first time I have read &amp; heard about a snowman party. It seems very interesting &amp; fun. 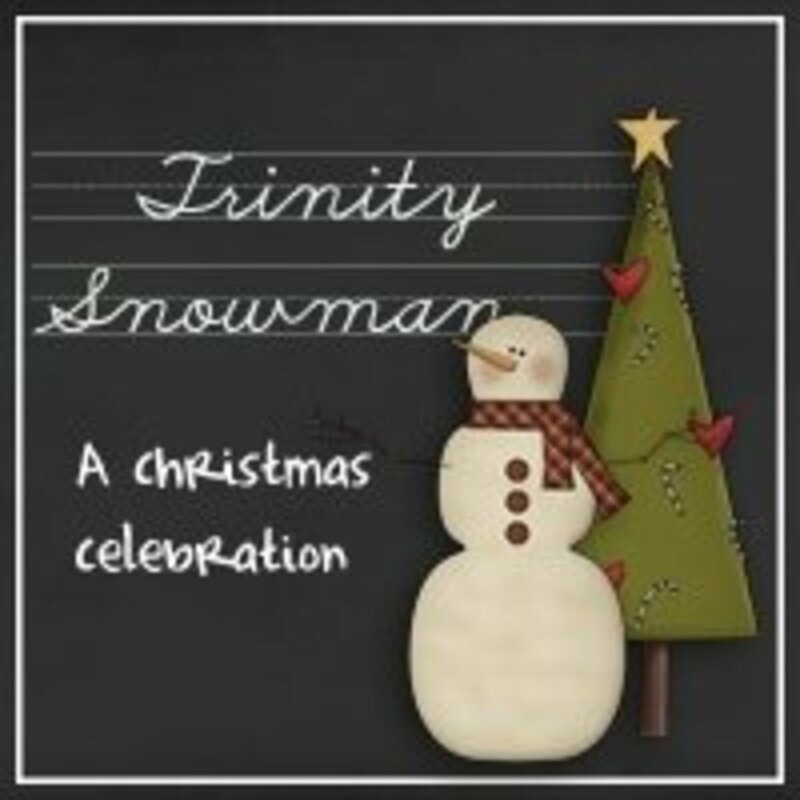 I had not heard the Trinity Snowman story before and a snowman party is a wonderful idea. Thanks for the lens. Thank You for the very informative lens! I loved it! I rated it up and joined your fan club, hope to see you in my fan club too! Great Job!!! Great idea!!! Here in Ireland we don't really get much snow and you'd only see snowmen on decorations, tv and cards so itd be a great way to bring one of the images of Christmas in in a fun way. I enjoyed this lens, especially the Trinity Snowman poem. I'm adding your link to a snowman lens I'm working on now. Congrats on your purple star. I love this lens and nominated it. Horray! I love snowmen! I have a collection of them that I use to decorate our home all winter long. I think I will use some of the ideas on this page to create a snowman lapbook with my kindergartener. I'm so excited! Thank you! Oh this is great with wonderful links and ideas for a Snowman Party. I had not seen the Snowman Trinity and will certainly share that with some of my Sunday School Teacher friends. Great idea and very nicely presented! Great lens design and I love the downloadables! Two thumbs up. What a lovely poem. I would've never considered using a snowman to teach about God and His Son. Brilliant! Really beautiful done - I love all the free downloads which make it easy to replicate the lessons. Great snowman lens! Returning your lensroll to my Biggest Best Snowman lens. I love snowmen as a decoration and love the scene setters! The activities that you have suggested sound wonderful! I love all the ideas especially the Snowman Trinity Poem! Thanks for sharing! I love the scene setters. My family loves snowmen. What a great lens.